The prestigious Salmagundi Club in New York has selected Jill’s lithograph “The Sower Went Forth to Sow” to be shown at their upcoming Printmaking Exhibition. From January 29th to February 15, 2018, this competitive exhibit will showcase 80 artists chosen for excellence in various disciplines of contemporary and traditional printmaking. Jill’s piece, drawn directly on the limestone and then etched, was printed using a lithographic press dating back to the 1880’s. She inherited the press from German-born painter and lithographer, Léo Marchutz. The lithograph was inspired by a Provençal farmer working in his field near Jill’s home in the south of France, where she has been living and painting for over 35 years. The iconic Salmagundi Club was founded in 1871, and is one of the oldest art institutions in the United States. With an art collection of over 1,500 works spanning its 140 year history, the Club offers programs including art classes, exhibitions, painting demonstrations, and art auctions for members and the general public. The Salmagundi Club is located on Fifth Avenue in an elegant brownstone townhouse designated historical landmark. 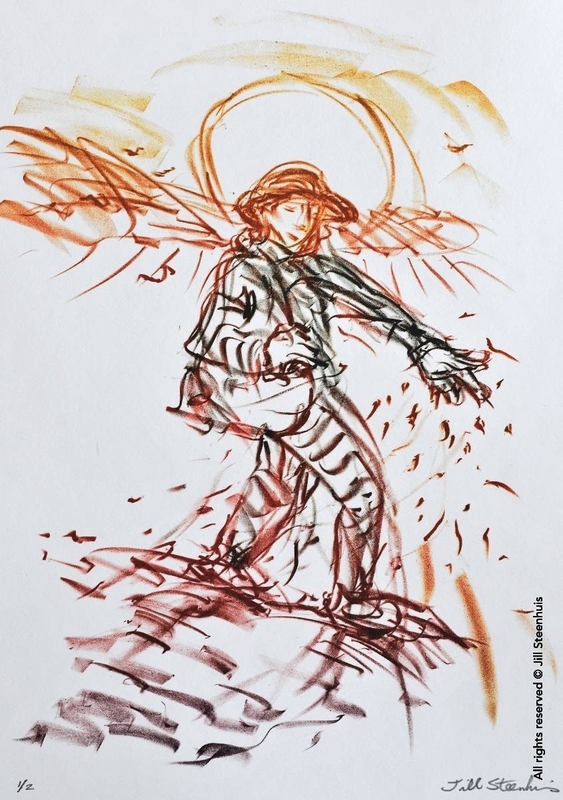 Don’t miss this exceptional opportunity to discover one of the most iconic art organizations in the country and view Jill’s lithograph “The Sower Went Forth to Sow”. For more information about the event, visit the Salmagundi Website.